This eBook is currently under construction and planned for completion in 2020. When completed it aims to provide a simple explanation of the legal system protecting the environment in a logical, coherent way with links to the best available websites for more information. 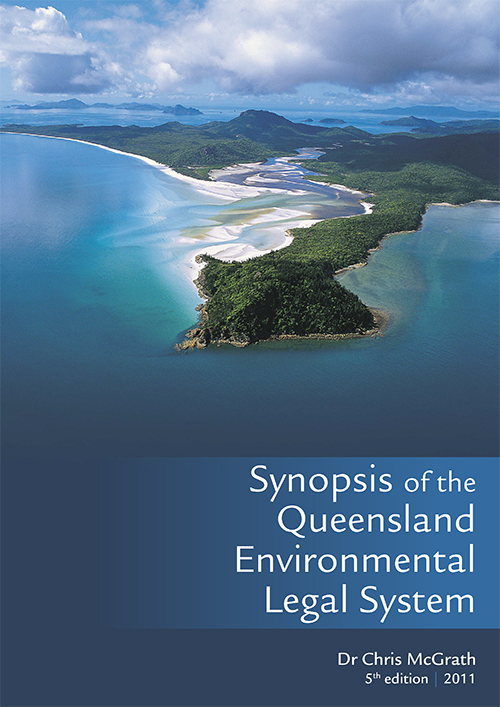 This is a research book examining how to evaluate the effectiveness of an environmental legal system. It provides a case study of evaluating the effectiveness of the laws protecting the Great Barrier Reefs, Australia. 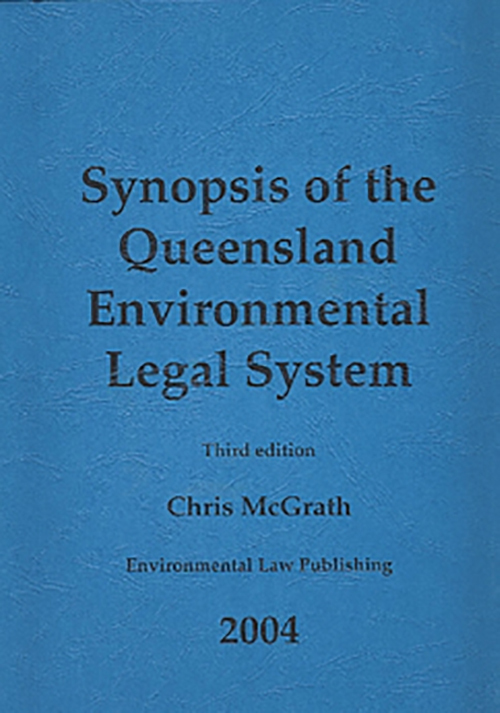 Chris McGrath, “Paris Agreement goals slipping away and with them Australia’s chance to save the Great Barrier Reef” (2019) 36 (1) Environmental and Planning Law Journal 3 [Note: this is made available in open source within the normal 3 month embargo on EPLJ publications with the kind permission of the EPLJ publisher, Thomson Reuters]. Chris McGrath, “Sydney Harbour’s toxic legacy shows value of green safety net” (The Conversation, 17 December 2012). Chris McGrath, “Mending holes in the green safety net” (Precedent, November/December 2012). Chris McGrath, “Australia’s scramble egg of government: who has the environmental power?” (The Conversation, 5 December 2012). 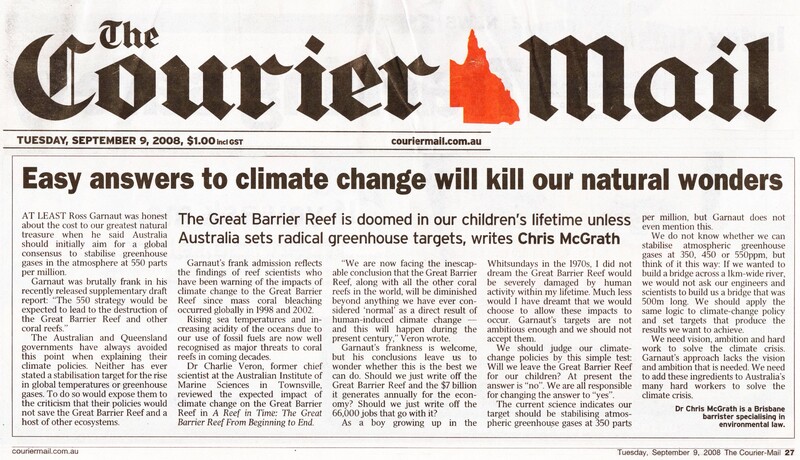 Chris McGrath, “Are we deliberately destroying the Great Barrier Reef?” (Crikey, 5 October 2012). Chris McGrath, “Flying foxes, dams and whales: Using federal environmental laws in the public interest” (2008) 25 EPLJ 324. Chris McGrath, “Will we leave the Great Barrier Reef for our children?” (IUCN Alexandre Kiss Award for Environmental Law Research, Bonn, 2008). Chris McGrath, “Easy answers to climate change will kill our natural wonders” (Courier Mail, Brisbane, 9 September 2008). Chris McGrath, “Time is running out” (Townsville Bulletin, 16 April 2008), reproduced with permission of the Townsville Bulletin. 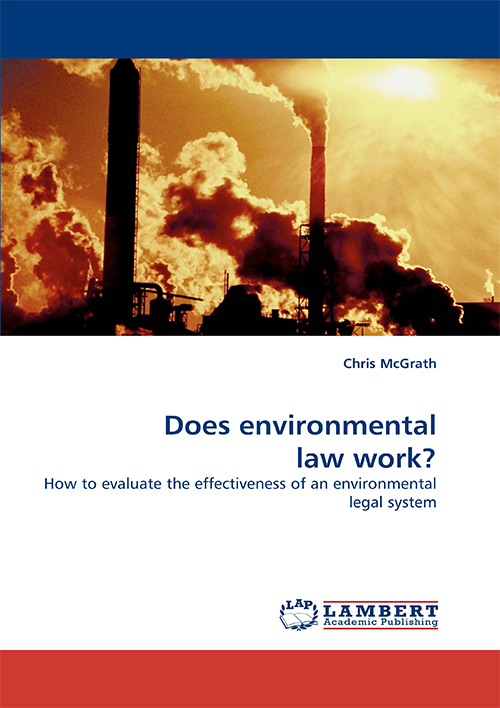 Chris McGrath, “How to evaluate the effectiveness of an environmental legal system” (PhD thesis, Queensland University of Technology, Brisbane, 2007).